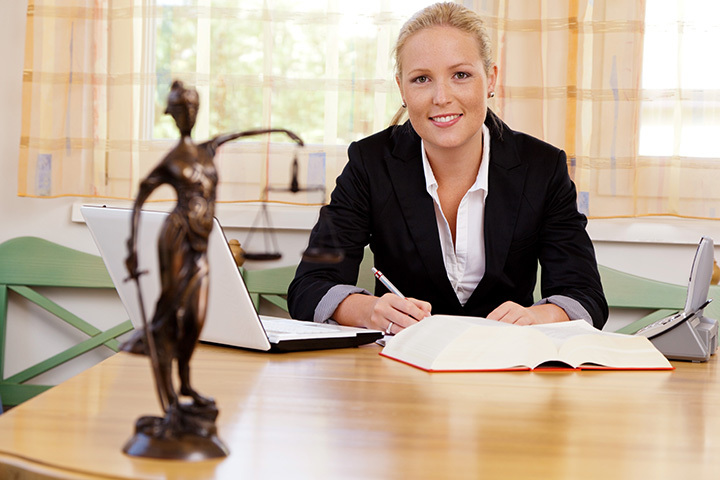 7 of the Best Law Firms in the United States! When it comes to tackling legal matters, most folks call on an attorney for help. But as with other professions, some legal eagles fly higher than others. The very best attorneys in the United States have distinguished themselves with landmark cases, mountains of accolades, and a commitment to serving their clients, and the law, in the most effective ways possible. From criminal and civil litigation to the high-stakes deals of Hollywood to the intricacies of international and maritime law, our country's best lawyers are on the case. Have a look at our list â€in no particular order â€of seven of the best law firms in the U.S.
Chaired by legal superstar David Boies-a man many have called the greatest litigator of his generation-this firm was founded in 1997 and has, under his leadership, been front-and-center for a bevy of prominent cases. The D.C. (and beyond) firm helped represent Al Gore in his litigation during the contested 2000 presidential election, and helped secure marriage equality in California by arguing for the plaintiffs in Perry v. Hollingsworth (formerly known as Perry v. Brown). Famous for a Reason: In addition to winning American Express more than $4 billion in a suit against Visa, MasterCard, and several banks, the firm also helped uncover and take down a massive international vitamin cartel. Areas of Practice: Known for arbitration and anti-trust. More than 22 distinct areas, including tax law, family and marriage law, litigation, sports law, and constitutional law. Founded in 1968 when Spessard Holland and Peter O. Knight merged their two firms, this legal powerhouse now has more than 1,100 lawyers on staff, covering more than 150 areas of expertise. Named "Law Firm of the Year" (transportation law) by U.S. News in their 2015 "Best Lawyers" guide, this firm also received Tier One national ratings in more than 30 areas of practice, and a slew of accolades and awards for individual states and cities across the country. Famous for a Reason: Perhaps unsurprisingly for a firm founded in Florida, Holland and Knight is a national and world leader in maritime law. The firm provided expert testimony regarding liability issues for the Deepwater Horizon disaster, and a member of their staff helped draft the Rotterdam Rules, which aim to modernize maritime shipping laws. Areas of Practice: Well-known for maritime and transportation law. More than 150 distinct areas of practice, including international finance and trade, as well as a wide range of tax, government, and corporate law. Big business is good business for Wachtell, Lipton, Rosen, & Katz. This New York firm was created "on a handshake" in 1965, but today it handles some of the "largest, most complex" business transactions" in the United States (and the world). Famous for a Reason: If it's a big deal involving heavy hitters, chances are this firm is involved. WLRK has handled business deals for DELL, Motorola, Capital One, Valspar, and dozens of other major corporations. Areas of Practice: A strong focus on multiple areas of the law, as filtered through corporate concerns. Domestic, cross-border and international mergers/acquisitions, private equity, strategic investments, corporate governance, tax law, anti-trust, litigation, and real estate. This California firm has a long and storied history. The very first firm to be named "Litigation Boutique of the Year" by The American Lawyer, Keker & Van Nest has a reputation for tenacious and exhaustively prepared representation. They've represented everyone from Black Panthers to the U.S. government (founder John Keker famously prosecuted Ollie North) to wrongly-convicted Californians, but since the dawn of the 21st century, Keker & Van Nest has gained a well-deserved reputation as one of the country's leading intellectual property law firms. Famous for a Reason: In addition to helping wrongly-convicted J.J. Tennison receive part of the largest settlement in San Francisco history, the firm has represented tech giants such as Twitter, Google, and Intel in lawsuits concerning intellectual property. Areas of Practice: Well-known for intellectual property law. Famously proud of their founders' roots as trial lawyers, the firm is always spoiling for a challenge, and addresses anti-trust, professional liability, contract and commercial, and white-collar defense, as well as a healthy range of pro bono work dealing with civil rights concerns. Seattle-based Harris Moure is combining legal legwork with business development to create a Trans-Pacific territory for themselves and their clients. With offices in Seattle, Portland, Beijing, and Barcelona, this internationally-scaled but boutique-built law firm offers its clients help with navigating complex matters in the corporate, international, and industrial arenas. Famous for a Reason: While it helps businesses with a wide variety of business development tools (including consumer products, high tech, manufacturing, and media) in the U.S. and China, this firm is on the forefront of helping companies address the ever-changing role of medical and recreational cannabis in the domestic business landscape. In addition, they offer a wide range of business development and compliance services designed to help their clients follow the law while building successful brands, products, and businesses. Areas of Practice: Well-known for corporate law and industry services. Also covers international, maritime, litigation, intellectual property, Chinese, European, and cruise injury law. WilmerHale spans the globe these days, its more than 1,000 lawyers handling everything from nanotechnology to high finance to anti-trust legislation in 14 offices. But in the firm's early days, one of its first partners, Reginald Heber Smith, wrote Justice and the Poor, defining himself as the father of legal aid in America and establishing his firm's commitment to social justice and good works. The firm is one of the country's leading pro bono firms, and sets the standard for community involvement and legal assistance to those in need. Famous for a Reason: The firm's been around since the early 20th century, and its lawyers have been involved in everything from the McCarthy hearings to Civil Rights legislation to fighting for marriage equality. The firm also has a variety of community partnerships, scholarships, and legal aid programs to help those in need. Areas of Practice: Well-known for its extensive pro bono work. Practices dozens of areas in the U.S., Europe, and Asia. The rich and famous need lawyers as much as-if not more than-the rest of us. And in Hollywood, one of the firms on celebrity speed-dials everywhere is Ziffren Brittenham. This firm not only represents top-notch talent like Harrison Ford, Oprah Winfrey, and Bruce Willis through its talent arm, but also handles major studio honchos such as Jeffrey Katzenberg and Peter Chernin. Famous for a Reason: Star power aside, the firm also rakes in major cash by orchestrating complex deals for new and existing media, intellectual property, public offerings, and, of course, contracts. Several of the firm's lawyers are regulars on The Hollywood Reporter's Power Lawyer list. Areas of Practice: Talent, corporate advisory, endorsements/merchandising/licensing/publishing rights, music.